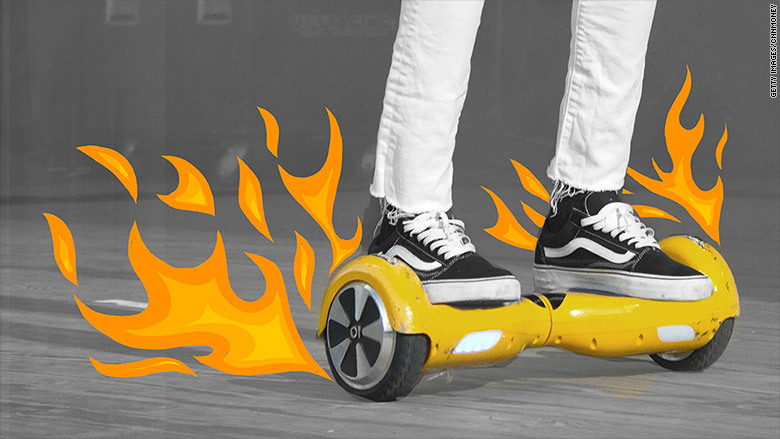 Self-balancing scooters, commonly referred to as "hoverboards," were one of the most talked about tech products this year -- but for almost all the wrong reasons. After gaining a lot of attention for their red carpet and music video appearances, as well as their popularity with kids and teens, these handlebar-less Segways made news for catching fire and exploding. Safety concerns caused airlines to ban them on flights. Amazon and Overstock removed them from digital shelves, major cities declared them illegal, and a federal agency says it's working "non-stop" to figure out what's causing them to burst into flames.